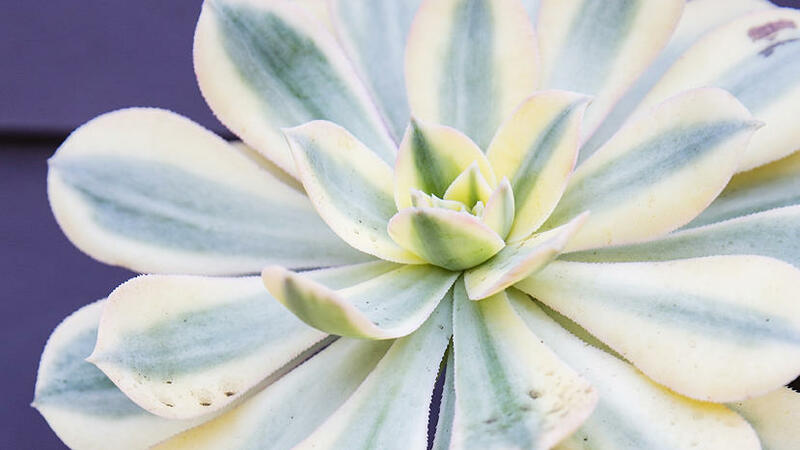 The crown jewels of the rosette-forming succulents, easy-care Echeveria come in a rainbow of colors and can be easily found at nurseries. Some of our top picks include rose-colored ‘Afterglow’, frilly-edged ‘Blue Curls’, deep purple ‘Black Prince’, and pearly lavender ‘Perle von Nurnberg’. All Echeveria perform splendidly in containers and grow well in garden beds in mild-summer areas. These primarily low-growing succulents are excellent planted as ground covers, tucked between rocks in walls, and planted to trail over the edges of containers. 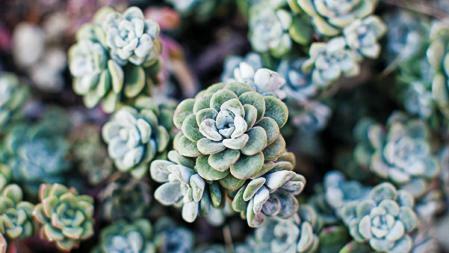 Chartreuse Sedum ‘Angelina’ is particularly useful as a bright complement to grey-green Echeveria. The fleshy rosettes of aeonium come in a rainbow of colors—from lemon yellow (Aeonium ‘Sunburst’) to deep maroon (Aeonium ‘Zwartkp’)—and take little water to thrive. With their bold forms and upright growth habit, they’re a natural choice for accent plants in garden beds and containers. 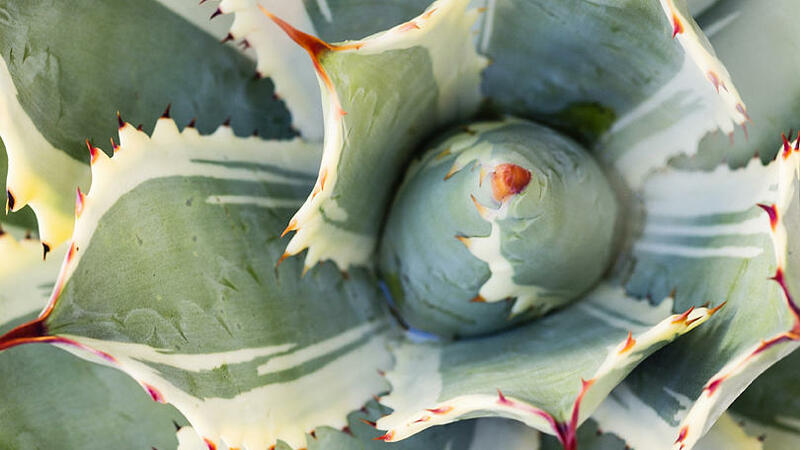 From towering tequila-producing blue agave (Agave tequiliana) to ornamental artichoke agave (Agave parriya), there’s a reason to find a place for one of these spiny specimens in any garden. Their architectural shapes are particularly stunning silhouetted against walls and hedges. Plant spine-free Agave attenuatta along pathways to avoid being poked. 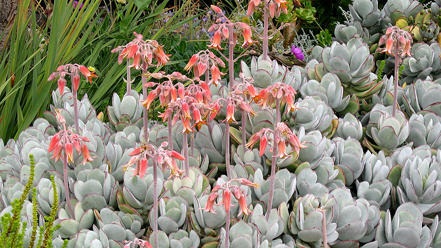 The fleshy rosettes of most Dudleya varieties are covered by a chalky powder giving them the appearance of being freshly dusted with powdered sugar. 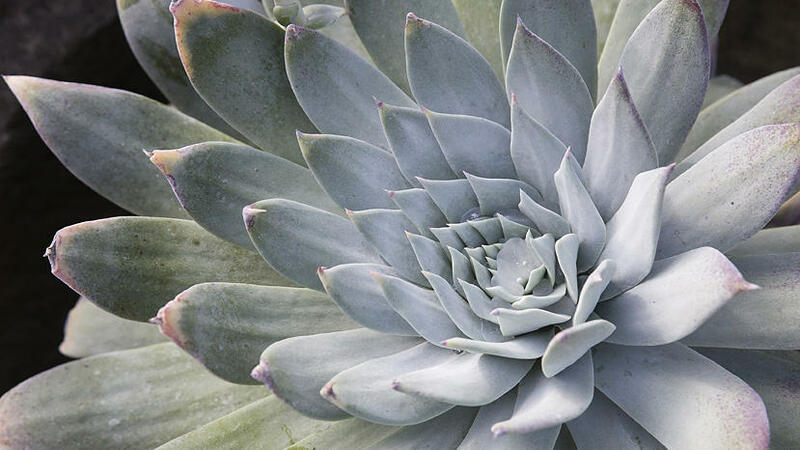 To keep the powder from washing off, grow varieties such as Dudleya birttonii in areas sheltered from heavy rain such as on sunny covered patios or on bright windowsills. 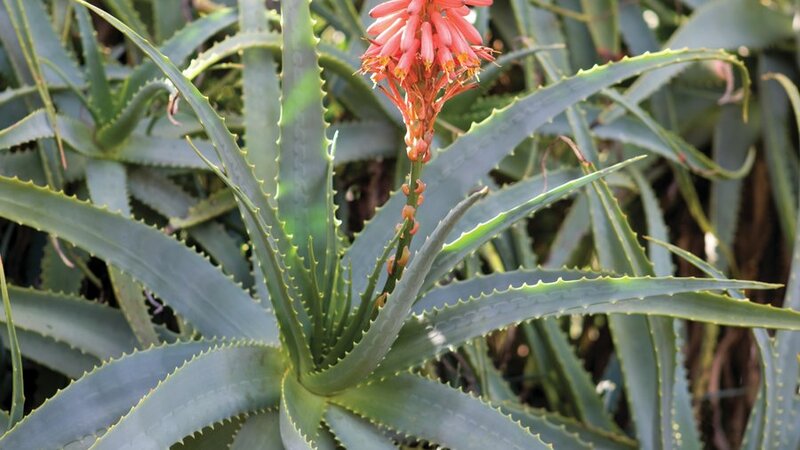 Mostly from South Africa, aloes vary widely in form and size from 6-inch miniatures (Aloe ‘Blue Elf’) to tree varieties (Aloe arborescens). 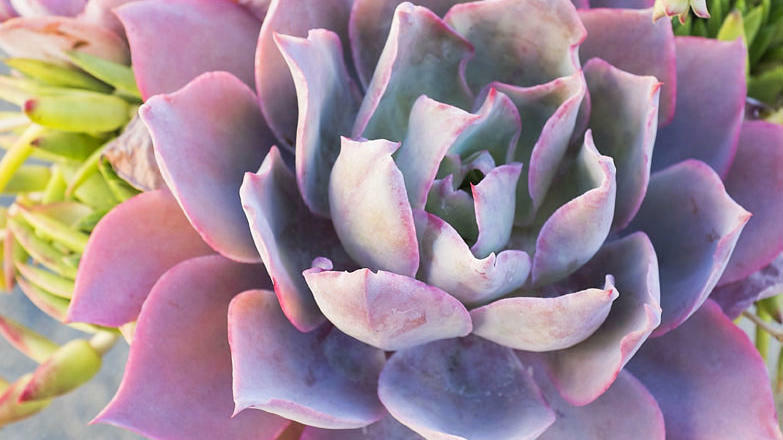 These showy succulents make great accents to Spanish-style and desert gardens. These South African natives are characterized by forming opposing pairs of fleshy leaves. In spring, many send up spikes of coral bell-shaped flowers. Look for varieties with a mounding growth habit, such as Cotyledon orbiculata ‘Pig’s Ear, which can be used effectively in garden beds or container designs. 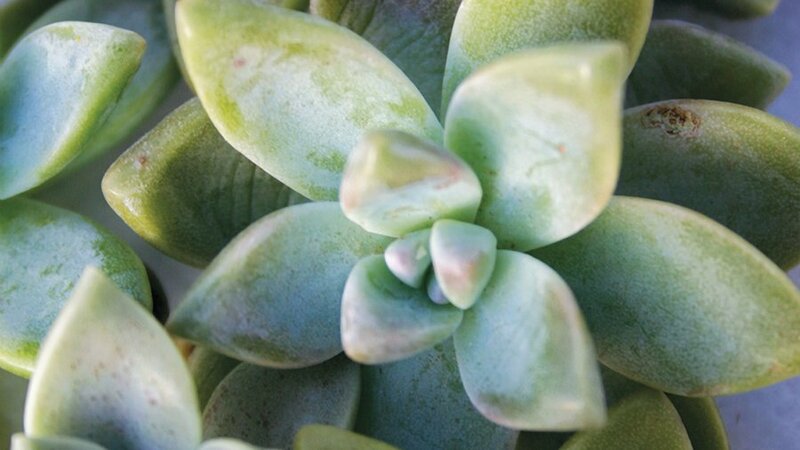 There’s more to Crassula than the common Jade Plant (Crassula ovata). 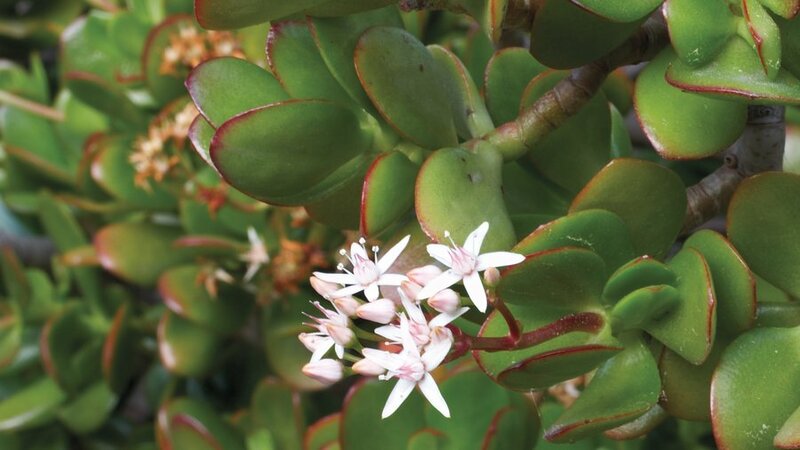 This diverse genus from South Africa includes mat-forming types with magenta flowers (Crassula schmidtii) and varieties that grow in braid-like geometric patterns (Crassula mucosa). All thrive with little water and well-draining soil. The tightly packed rosettes of Sempervivum spread by forming tiny off-shoots from parent rosettes (hence, “hens and chicks”). 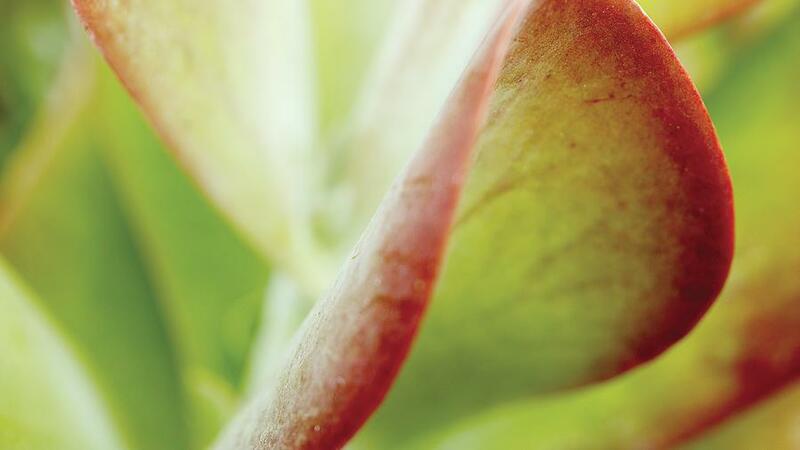 Many are native to the mountains of Europe and can be more cold-hardy than their Echeveria counterparts. 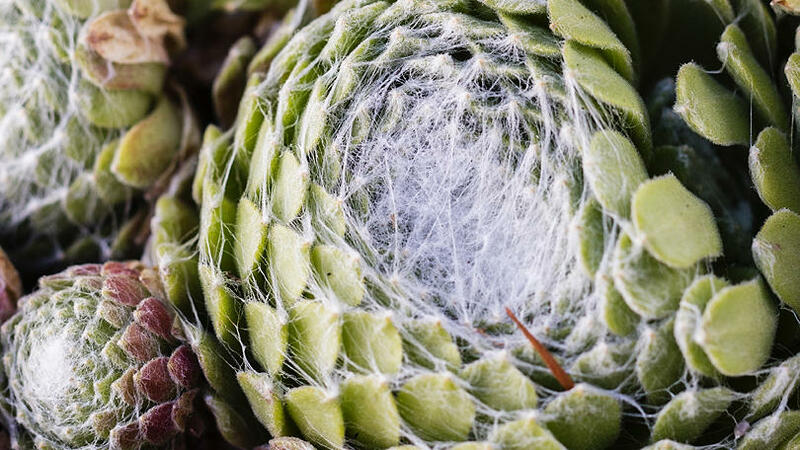 Color and shape vary widely among hybrids, with some forming intricate filaments across each rosettes (Sempervivum arachnoideum ‘Cobweb Buttons’). The plump rosettes and mounding growth habit of Graptopetalum give them visual weight in borders and large containers. On rocky slopes and areas without foot traffic, they make excellent ground covers. If plants get too leggy, snap off long-stemmed rosettes and allow to root in dry soil for more plants. The leaves of Kalanchoe vary from paddle-shaped (Kalanchoe luciae) to ones that resemble fuzzy elephant ears (Kalanchoe beharensis). Most are native to Madagascar and South Africa and grow well in full sun or light shade (in hot summer climates) with little care. 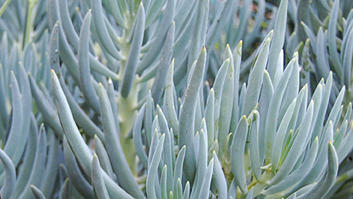 The cylindrical silvery-blue leaves of this low-growing succulent provide year-round interest in mild climates. Add to garden beds for calming swaths of blue or grow in containers in full sun. Most common varieties are Senecio mandraliscae and slightly smaller Senecio serpens.